My father was a very stubborn Norwegian, and, according to my wife, the wing nut didn't fall far from the crankshaft. 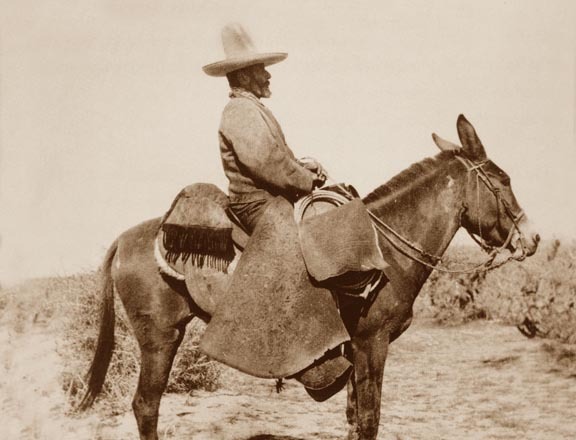 Speaking of being stubborn as a mule, I am hot on the trail of the history of Mules in the American West. And, if I have my way (see first paragraph), we are going to do an entire issue on these incredible, impotent, under appreciated, beasts of burden. Now, unlike the American cowboy, who wears his chaps, these leather leg coverings are attached to the saddle, not the rider. 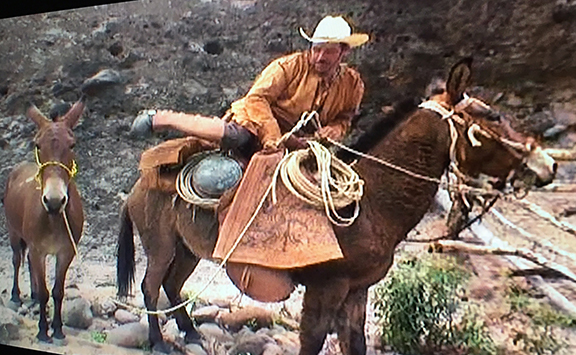 I have an excellent DVD on the vaqueros of Baja and there is a sequence of a rider mounting his trusty mule and then pulling the leather wings across his legs before taking off. Very ingenious, those Mexican Muleteers. How Do You Stop A Big, Bad Jack? People ask me how can you stop a mule. 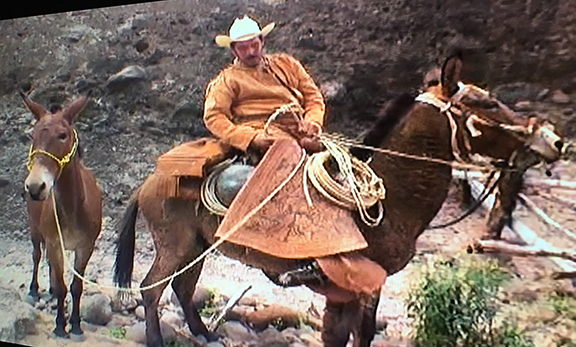 Well, out in California my Uncle Jack let Lon ride one of his mules. In no time they were kicked into overdrive in spite of the fact that Lon had the mule’s head pulled clean back to his boot top! The road turned right. The mule never noticed. He ran smack dab, flat into an orange tree! From Jack’s vantage point, it looked like the orange tree had been struck by lightening! A terrible crashing sound ensued as Lon flew off the mule and shot through the branches like a six-foot smoked salmon fired from a battle ship! 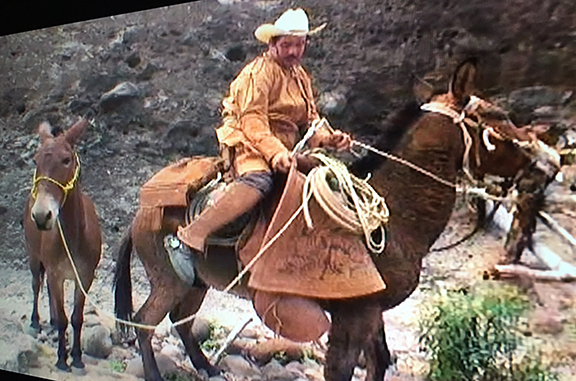 It stopped that mule, but they say you can still see pieces of Lon’s hat, shirt and glasses embedded in the bark. "Lon flew off the mule and shot through the branches like a six-foot smoked salmon fired from a battle ship!" When the Norwegian explorer Carl Lumholtz was traversing the Sierra Madres with a large pack train in 1890, he heard a noise above him on the switchbacks and looked up to see a donkey with its pack on come hurtling past him, "turning over and over with astounding speed." The donkey sailed over his head, and down to a pillar of rock below him. The donkey hit the base of the pillar, then rolled over twice before coming to a halt. The donkey then got up in the midst of its scattered cargo which turned out to be a case of dynamite. Two of the Mexican packers scrambled down the slope, repacked the dynamite on the shaken but perfectly fine little donkey and led it up the trail where it pushed on "as coolly as if nothing had happened." This is from Richard Grant's wonderful book, "God's Middle Finger." I think some of the best episodes of The Life and Legend of Wyatt Earp were the ones that feature Roscoe the mule. Shotgun Gibbs had a real love affair with his mule.